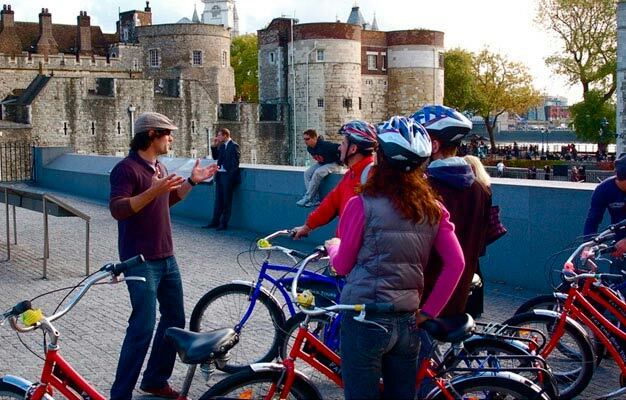 Bike through the heart of London taking in many of the iconic sites as well as getting a feel for the mystery and romance of London's riverside by twilight. Watch the sun set over the majestic river on our new River Thames Evening Bike Tour. Don't miss an opportunity to watch the city's lights glistening over London Bridge from your comfy seat of one of our cruiser bikes! While the bike tour itself is relaxed, you often find that it can be thirsty work so we make sure to pop into one of London's best local pubs along the way and get a drink. Also please note that while the cycling is very leisurely we do ride on the road for parts of this tour and cycling competency and confidence is required. Do we take a break on tour? Yes. We stop about half way into the tour for a drink at a 400-year-old pub (drink included). The tour departs Thursday to Saturday at 6 PM.